Contact us today for a free estimate on your Bathroom remodel. The average cost of a bathroom makeover is about $4,000 to $6,000, depending on changes made to the bathroom. If only the tub and tub surround is replaced then it runs around $2,000 to $4,000. Encluding tub and tile or HD wall panels. Below are some pictures of showers done with Onyx base and shower wall products. 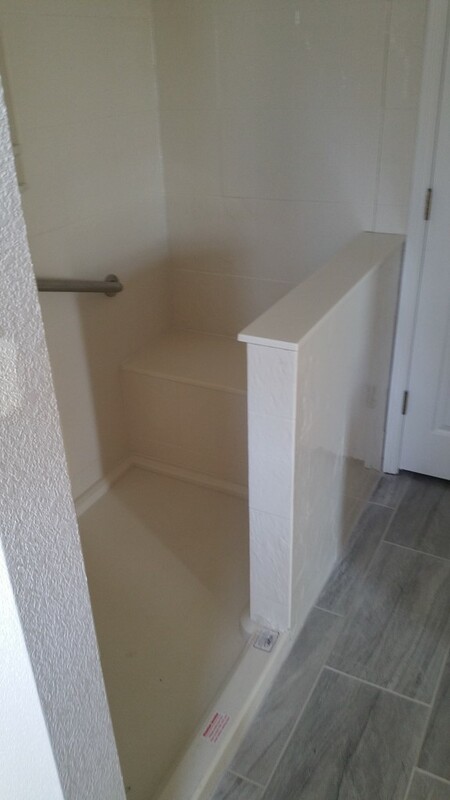 This custom shower is 4 foot by 5 foot wide. The total cost of this unit was $4,684.00. This walk in shower surround has a lifetime warranty on all materials and a three year workmanship guarantee. 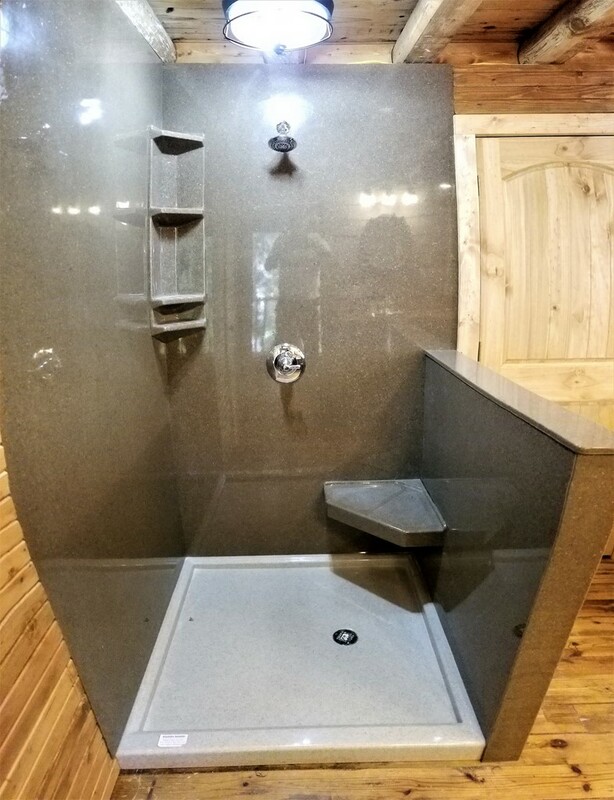 Onyx shower with seat and grab bar. Custom shower pan with low threshold. Select your 'Bathroom remodel' appointment time below.